The Northern Elders Forum (NEF) yesterday vowed to resist any move to undermine the current administration on account of President Muhammadu Buhari’s ill health. 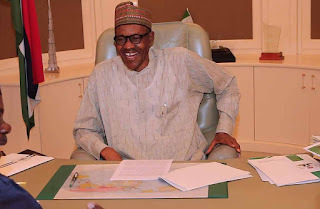 Besides, the forum backed “genuine” restructuring of the nation, adding that the north was never at any time opposed to the move.The warning may have been informed by some developments at the seat of power, Aso Rock, which the group described as “attempts to exploit the absence of the president to achieve dubious political goals.” One of these goals is suspected to be the restructuring of the polity. NEF maintained that the ship of state must keep sailing uninterruptedly until Buhari returns.Rising from its emergency meeting held at the Government House, Kano, the elders noted: “We are aware that attempts are being made to exploit the absence of President Muhammadu Buhari to achieve dubious political goals. Briefing newsmen on the outcome of the meeting, the forum’s deputy leader, Wantaregh Paul Unongo, applauded the president for transferring power to his lieutenant in line with the dictates of the 1999 constitution (as amended). He urged Nigerians to keep praying for the quick recovery of the nation’s first citizen. NEF charged the National Assembly to work with Osinbajo. Lauding government on the release of the 82 Chibok girls, the forum, however, maintained that the administration must not rest on its oars until the rest of the captives regain freedom. Unongo continued: “For the record, the forum wishes to state that the north welcomes honest and sincere discussion on all aspects of our existence and remains available to engage any group to discus and advance the nature of our union. We will resist the attempt to create the false impression that the region is hostile to enquiries into the basics of the nation’s structure and operations. “We will also join other Nigerians in resisting any attempt to seek sectional and parochial goals outside the constitution and laws of the Federal Republic of Nigeria. But elder statesman, Malam Tanko Yakassai yesterday reiterated his opposition to calls for the restructuring of Nigeria.Speaking to The Guardian, he urged those behind such an agitation to channel their energies towards ensuring good governance in the polity. He particularly accused Nigerians of south west extraction of masterminding the agitation with the ultimate desire to ensure the breakup of the country. Yakassai who was a stalwart of the defunct Northern Elements Progressive Union (NEPU) and national party of Nigeria (NPN) recalled that key leaders of the south west had never hidden their disdain for the northern part of Nigeria right from their days in the defunct Action Group (AG) in the 60s. According to him: “ I have always suspected the motive behind such clamour. The whole idea is to deny the north its God-given advantage of population and landmass which it has effectively used to earn appreciable allocation from the Federal Government. Those behind it are not interested in Nigeria ‘s unity and progress. He, however, distanced himself from the northern elders who met in Kano, saying they belonged to the defunct Northern Progressive Congress (NPC). “They have agenda that is anti-people. I have never related with them all my life. But I understand their concern on the issue of restructuring of Nigeria,” Yakassai who is a strident critic of Buhari noted. A former Minister of Information, Prince Tony Momoh warned those trying to create unnecessary division between President Buhari and his deputy under the guise of restructuring or the state of health of the president to desist in the interest of the country, peace and unity. He noted that restructuring should not be used to politicise the state of health of President Buhari.Momoh, who is also a founding member of the ruling All Progressives Congress (APC) while reacting to the development yesterday said the Buhari administration is one and there is nothing like restructuring taking place in his absence . Reacting, Second Republic Minority Leader, Dr. Junaid Mohammed described the call for the restructuring of the country as unconstitutional. He accused those behind such an agitation as “professional agitators” who have no inkling into what they are up to in their demands for the restructuring of the country.Saying the north is ready to confront any group calling for the breakup of the country, he maintained that the north could not be cowed into submission by blackmailers keen on using the restructuring agenda as a bargain tool.